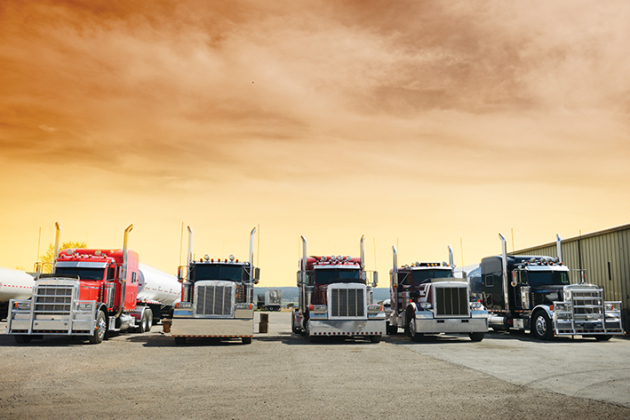 Steady freight volumes, rising spot market prices, and more generous compensation packages from fleets may have you considering becoming an owner-operator or adding a second truck. The truck you choose will have a major impact on the success of your business, so we chatted with several used truck dealers to discuss considerations to keep top of mind when shopping for a used truck. Used truck pricing is determined by supply and demand – and demand is beginning to pick up, thanks to improvements in freight volumes and pricing. Don Lee, used truck sales manager for Tallman Group, said availability also depends on the type of truck you’re looking for. In Western Canada, it’s vocational trucks with certain types of bodies – dump and mixer, for example – that are difficult to find, Duda added. Certain fleet spec’s such as automated transmissions are finally becoming accepted – and even requested – in the secondary truck market, dealers said. However, owner-operators are still seeking trucks with higher horsepower than the large fleets spec’, because of the versatility it affords them to pursue different types of work. “There’s a lot of demand for heavy spec’s with heavy axles,” said Lee. Gupta said fleets are now spec’ing highway trucks with 425-450 hp, but owner-operators continue to look for trucks with 450-500 hp. He said buyers want the extra power so they can readily switch to new lanes or freight. “I have always coached customers not to overbuy or underbuy,” Gupta said. Lee said while old habits die hard, owner-operators are becoming more open-minded when considering horsepower. Also, be sure to purchase a truck that’s legal in the jurisdiction you plan to run. It may seem like obvious advice, but Duda said it’s a common mistake thanks to the proliferation of auctions and online sales. One fleet spec’ that has yet to catch on in the secondary truck market, is wide-base single tires. While wide-base tires are becoming more widely available, Lee said used truck buyers continue to shy away from them. Buying a truck with some leftover factory warranty is a good idea. Paying for additional warranty coverage is also worth considering. Think of it as a form of insurance, suggested Lee. That, however, hasn’t stopped some dealers from selling them, Duda added. “Many used truck wholesalers and dealers are doing it, using existing contracts they had,” he said. The risk for customers is that the warranty may be useless, when it comes time to use it. When buying a used truck, how you pay for it is a major consideration. The size of the down payment required will be determined, in part, by the buyer’s credit rating. Lee said a 10% down payment is a good rule of thumb, but it may be higher or lower, depending on a customer’s credit rating. Gupta said financing the truck through the dealer offers some added flexibility. Gupta said Pride Group is willing to work with customers who can’t afford a 10% down payment, if they are signed on with a good carrier and can show the potential to operate well and generate sufficient revenue. Banks generally can’t offer such flexibility, since they don’t understand the nature of the business.